If you grew up in the 80s, I guarantee you played Pac Man. I know I spent more than a few months allowance in the arcade playing the game as a kid. I also watch more than my share of Chuck Norris flicks and other than Bruce Lee, nobody and nothing scares Chuck. They say, Chuck Norris doesn’t go hunting, he goes killing. We’ve heard that Norris has a bearskin rug in his bedroom and that the bear isn’t dead, it’s just afraid to get up. All we know is when Chuck plays Pac Man, the ghosts just give up. The cool video is on YouTube right now that shows what would be like if Chuck Norris was a videogame character. 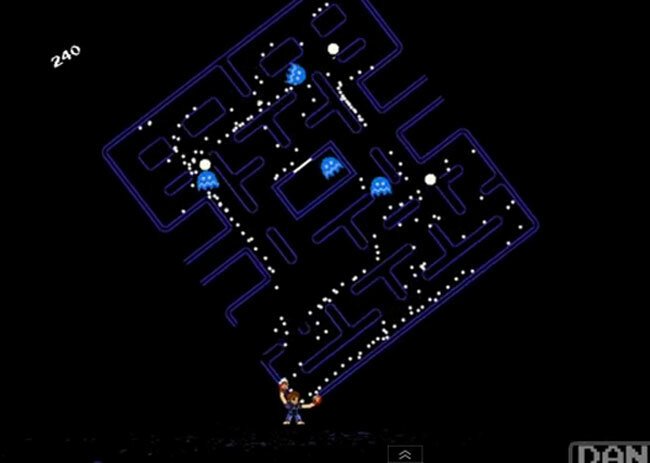 I think the 8-bit Norris playing Pac Man is much better than a modern Chuck Norris playing World Of Warcraft. Check out the video and see for yourself.